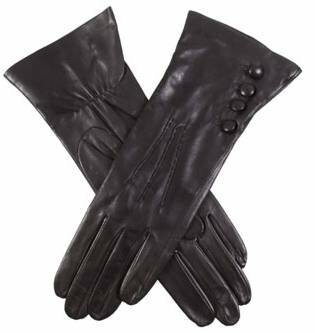 The Black Rose Silk Lined Leather Gloves by Dents - Small/Medium is a very popular item which is sure meet your shopping requirements. Highly recommended Dents gloves make great gifts. Buy the Black Rose Silk Lined Leather Gloves by Dents - Small/Medium now. Truly stylish, sophisticated and tenacious this is a magnificent pair of gloves brought to us by Dents. Screams quality as they have been crafted from pittards extra soft 3000 leather and beautifully lined with 100% silk. Features an elasticated palm and three point detail to keep your hands comfortable. The leather covered buttons add simplistic style to the pair. Comes complete with Dents packaging. If you have any questions about this product by Dents, contact us by completing and submitting the form below. If you are looking for a specif part number, please include it with your message.